There are several different species of ant in the UK all of which cause damage to our properties in different ways. Each species of antsrequire a different form of pest control to eradicate them as there isn’t one solution for all. 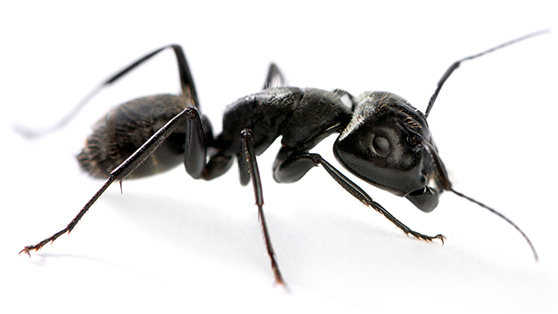 Here at Envirowell, we ensure that we identify the correct species of ant so that the right form of pest control can be put into place. Wikipedia describes ants as a notorious pest, causing billions in damages annually and impacting wildlife. Their presence may deter outdoor activities. Ants nests built under structures such as pavements and foundations, may cause structural problems, or cause them to collapse. Not only can ant colonies damage or destroy structures, they can also damage equipment and infrastructure and impact business, land, and property values. As worker ants are attracted to electricity, they can swarm electrical equipment and destroy it. Some species of ants have strong venom that can be particularly potent on sensitive humans and animals. Our ant control consists of a minimum of 2 visits on the first visit we identify the species of ant that is causing problems. We then find the source of the problem and then we apply the best form of control. Before any treatment is carried out we also guarantee our treatments will be 100% safe to do so. The second visit will then consist of ensuring that the treatment is controlling the issue present effectively and then top up the treatment type and carry out any prevention works in which ants will enter through, e.g. airbricks and holes around pipework. This will give you a long-term solution saving you money in the long run. So if you have spotted any signs of a pest in your property. Call us now so we can quickly get you pest free. We are passionate about the environment and that’s why our fully qualified technician will ensure that all treatments carried out are safe to do so. We are Oxted’s professionally trained technicians who can control pests safely, legally and effectively. If you have any questions or comments or you require the services of a pest control please contact us.